Here’s something everyone needs more of – dancing musical monkeys. No not that kind of monkey dance, Steve Ballmer. 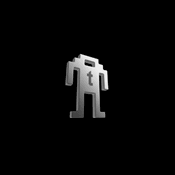 Thankfully, this dancing monkey won’t fling poo all over your house, rip your face off, or make you buy Windows ME. Nope, the fantastically named Magic Music Monkey simply plugs into your music player, listening to his own little silver headphones, and jams out to your tunes. That’s it, and he’s damned proud of it. How can you resist the hypnotic, head-bobbing movements of the Magic Music Monkey? Come to think of it, he kind of looks like me when I’m listening to my iPod. 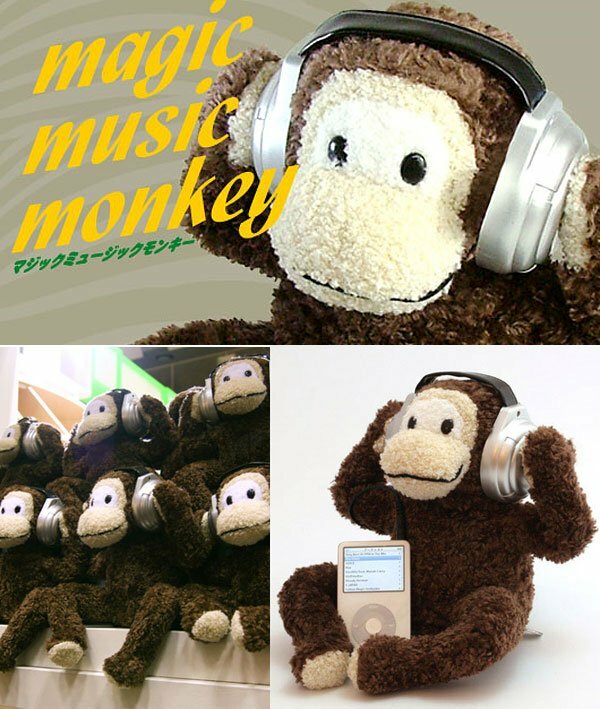 Z Gallerie sells the Magic Music Monkey for $29.95 (USD), but they’re currently sold out (boo!). If you’re willing to try a little JPY to USD conversion, you might be able to find one over at Japan’s Flyers99, but then again, your monkey might only dance to J-POP.